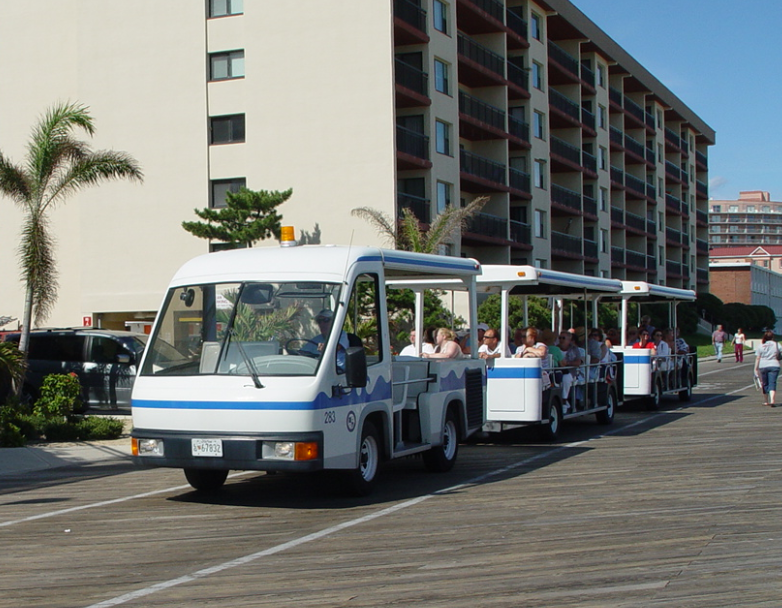 The ocean breeze, beach, sand, and family atmosphere are just a few of the reasons why you will want to ride the Ocean City boardwalk trams during your visit to Ocean City! 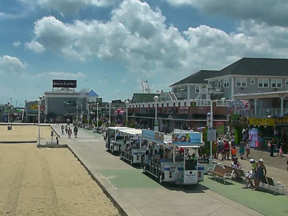 The comfortable boardwalk trams can take you the whole length of the boardwalk, which travels from the Inlet to the North Booth at 27th Street. The Boardwalk tram will stop at most any location along the route to load or discharge passengers. 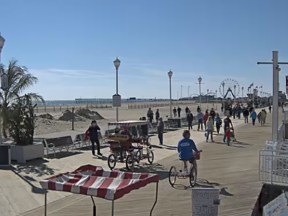 The best part of the half-hour ride will be the detour that takes you on the pier close to the ocean where you can see, hear, and sometimes even feel the ocean water. 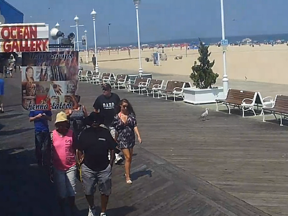 Now you know you are in Ocean City, Maryland!